Tofu sometimes gets a bad rap. On its own there really isn’t a ton of flavor, but the magical thing about tofu is that it is like a sponge. It takes on the flavors that it is exposed to so perfectly. Heat 1 Tb of vegetable oil in saute pan on medium heat then place coated tofu in pan. Watch carefully and allow each side to cook until slightly browned. As you replace the tofu int he pan with new pieces cover the cooked pieces on a dish covered in tin foil. Add sesame seeds, honey and soy sauce to a large bowl and mix throughly. Once all tofu has been cooked add all pieces to the sesame mixture and make sure each piece is coated throughly. 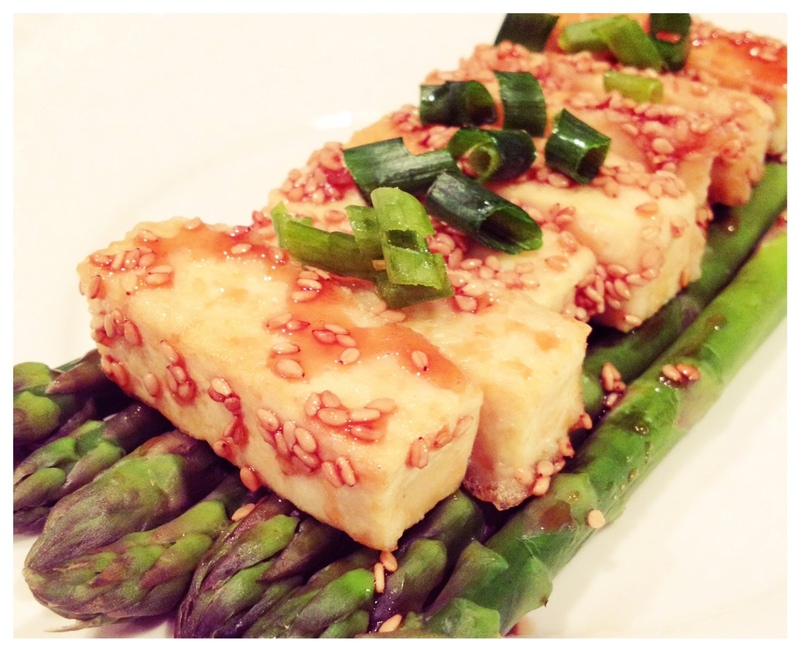 Lay cooked asparagus on a plate then place tofu on top. Add green onion for garnish and serve warm.